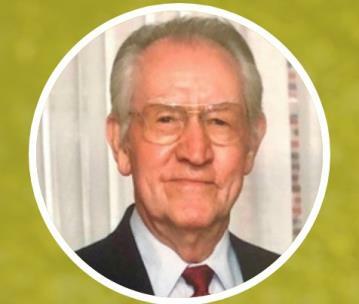 Theodore “Ted” F. Holt, 90, of Dalton passed away on Thursday, January 17, 2019, at Hamilton Medical Center. He was the son of the late John and Dovie Petty Holt and was preceded in death by his wife, Louise Mansfield Holt and his siblings, Charles (Libby) Holt, Hubert (Dot) Holt, Howard (Betty) Holt and Dimple Holt. Ted was a member of First Baptist Church of Dalton and was co-owner of the Green Spot, where he touched many lives in his role as butcher. He is survived by his daughter and son-in-law, Kathy and Mike Licata of Suwanee, Ga.; sons and daughters-in-law, Mike and Debbie Holt and Terry and Frieda Holt all of Dalton; grandchildren, Tyler and Lauren Arthur, Rachel Licata, John and Katie Holt, Amanda and Brian Owens, Chris Holt and Fiancé Joey Cheng, Jerimi and Kelly Nuckolls, Katie and Chris Hardin; great-grandchildren, Camilla Arthur, Violet Arthur, Catherine Holt, Liam Holt, Adalyn Owens, Lettie Owens, Aly Hardin, Grant Nuckolls and Taylor Nuckolls; special niece and husband, Brenda and Danny Matheley; other nieces and nephews; special caregivers, Tammy Gallman and the girls of Georgia Care at Home. Services will be on Sunday, Jan. 20, at 4 p.m. in the chapel of Love Funeral Home with Reverend Phillip Cannon officiating. Burial will be in West Hill Cemetery. The family will receive friends prior to the service on Sunday from 2-4 p.m. In lieu of flowers, memorials may be made to First Baptist Church of Dalton, P.O. Box 827, Dalton, Ga. 30722 or to St. Jude Children’s Research Hospital, 501 St. Jude Place, Memphis, Tn. 38105.